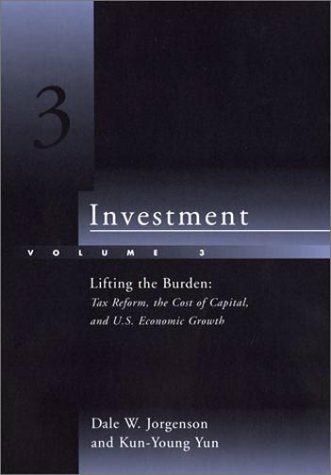 Michael J. Boskin, together with many of the world's leading scholars and policy makers who met at a Washington, D. C., conference in May 1995 sponsored by the Hoover Institution, sheds light on five major tax reform proposals now finding strong proponents in Congress: flat tax, value-added tax, national retail sales tax, the Nunn-Domenici USA Tax, and a hybrid progressive consumption tax.The unique insights offered here represent the first authoritative perspective on the current tax reform debate.These essays first provide a useful framework for understanding key issues,and proposed fundamental goals for tax reform and then evaluate the benefits and consequences of each alternative.This volume will be an indispensable resource for those wishing to evaluate how fundamental tax reform can best restore strong economic growth. In the natural order, virtue and vice each carries its own consequences. On the one hand, virtue yields largely positive results. Hard work, patience, and carefulness, for example, tend to generate prosperity. Vice, on the other hand, brings negative consequences. Sloth, impatience, and recklessness, for example, tend toward suffering. In Slaying Leviathan, Leslie Carbone argues that since the early twentieth century, U.S. tax policy has been designed to mitigate the natural economic results of both virtue and vice. When the government disrupts the natural order through taxation by creating incentives and disincentives that overturn these natural consequences, the government perverts its own function and becomes part of the problem—a contributor to social breakdown—rather than part of the solution or an instrument of justice. Leslie Carbone conducts a sufficiently comprehensive yet readable survey of American tax history.The author crisply points out the moral perils that have attended taxation throughout (a relevant period of) history.Where the work falls short, in my view, is in lighting the path out of the moral morass, and this is especially interesting because as my sister in Christ, Leslie Carbone definitely recognises the sin nature of man as manifested in government. Ideas have consequences.I am fond of saying that the tombstone of a civilisation may be laid at precisely that point where truth is no longer defended because it cannot be known.In no area of American life is this more true than with respect to the 96-year-long check-skimming scam run by the U.S. Congress.In the Age of Obamanation, these scoundrels no longer even attempt to mask their disdain for the Supreme Law, and for their constituents -- the working hosts of their parasitic lives. The author entirely misses this, the century-long real game in American 'tax policy'.Painting the IRS as the black-hooded executioner to mask its own scandalous corruption, Congress skates free through trillion-dollar heists; smiling all the while.Note the member of Congress' attitude?It is of the untouchable Latin American drug kingpin.Beyond the law because they WRITE the law, and then defraud their hosts about what the law says. 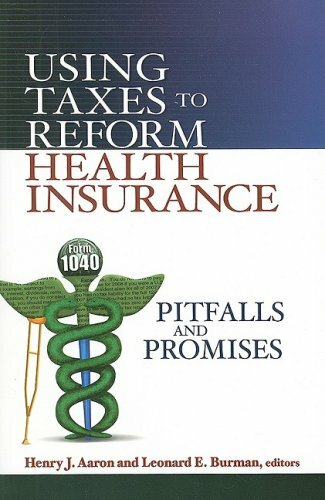 A far shorter read than Ms. Carbone's book -- and I promise you, a far more educational and valuable one to your future -- is the "Tax Honesty Primer" (Google it) online.It is not only a much shorter read (ca. 2 hours) but takes the fraudulent bull by the horns, and shows the hapless Taxpayer not only the history of the largest financial fraud in human history -- but exactly how we 67 million non-filers escaped the "fair share" line. I would still buy Leslie Carbone's book; it's an excellent survey and analysis.But there are far more efficacious ways forward, for those who have had their fill of thieves and scoundrels; who are willing to perform due diligence; and who have stopped fearing their employees. There have been plenty of books and policy papers written, plenty of speeches and television and radio interviews, about the economic reasons that high progressive taxation is a bad idea. We've heard many times about how it restricts innovation by discouraging investments, or how higher tax rates actually have the seemingly perverse impact of decreasing government revenue, while lower tax rates lead to more money in the Treasury. Those arguments have been made and re-made, stated and re-stated, so many times that most fiscal conservatives can restate them on their own. What we haven't seen very often, though, is an argument about tax policy from a moral perspective, an examination of the impact that tax policy has on society in the manner that it punishes good behavior and rewards bad behavior. That is exactly the argument that Leslie Carbone takes up here, and it's a welcome addition to the debate. Through a combination of history, economic analysis, and good old-fashioned common sense, Carbone demonstrates quite clearly how tax policies over the past 70 years or longer have succeeded in sending the wrong signals to citizens and helped to encourage behaviors that have adverse consequences for individuals and society as a whole. In one compelling section, Carbone examines the immorality behind the IRS's tax enforcement mechanism. 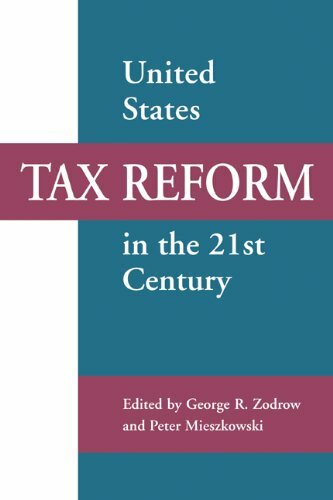 The book concludes with an insightful analysis of the various tax reform proposals that have been made in recent years, ranging from the flat tax to the national sales tax, and makes clear that only reform that allows the people to keep more of what they earn can ever be considered moral. For a quick read, this is an excellent edition to the voluminous literature condemning the leviathan that has become America's tax system. Slaying Leviathan is an excellent mix of history lesson and moral argument for and against taxation in the United States.This is a well written and researched book. It is written in a language that is easy for the average person to grasp the concepts without being condescending.Ms Carbone makes several profound points equating the compensation we receive (money) for our labor and progressive and regressive taxes.She also makes an excellent analysis of the current suggestions for tax reform under the rubric of morality and "fairness". 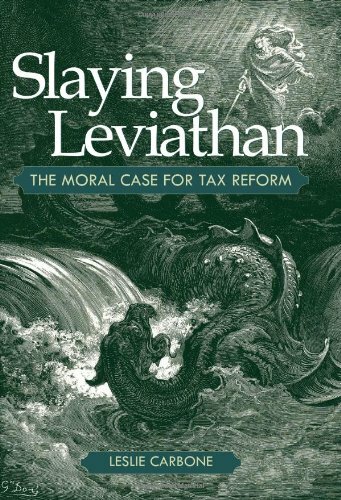 I learned more from reading Ms Carbone's book than from sitting 4 years of high school and 2 years of college history and civics.I recommend that Slaying Leviathan be used as a primmer on taxation in any economics or government class.Home schoolers take note. Winning entry, Professional Cover/Jacket Category, in the 2009 New England Book Show sponsored by Bookbuilders of Boston. Reform of the federal income tax system has become a perennial item on the domestic policy agenda of the United States, although there is considerable uncertainty over specifics. Indeed the recent report of the President's Advisory Panel on Federal Tax Reform recommended not one but two divergent policy directions (and included extensive discussion of a third). In Fundamental Tax Reform, top experts in tax policy discuss a wide range of issues raised by the prospect of significant tax reform, identifying the most critical questions and considering whether the answers are known, unknown—or unknowable. The debates over tax reform usually concern the advantages and disadvantages of income-based taxation as opposed to any of the several alternative forms of consumption-based taxation. The book opens with chapters that discuss the strengths, weaknesses, and political feasibility of these options. 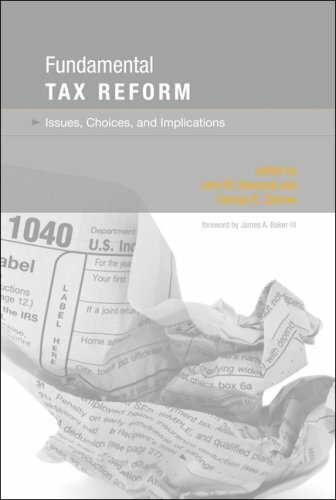 Other chapters consider the effects of tax reforms on businesses, especially their investment behavior, and include a discussion of possible problems in any transition to a consumption-based tax; international taxation issues arising in an era of globalization; and individual behavioral response to tax reform, including a view of the topic from the perspective of the relatively new field of behavioral economics. Rosanne Altshuler, Alan J. Auerbach, John W. Diamond, Harry Grubert, Arnold C. Harberger, Kevin A. Hassett, Thomas J. Kniesner, Laurence J. Kotlikoff, Edward J. McCaffery, Kathryn Newmark, David Rapson, Daniel Shaviro, Joel Slemrod, James P. Ziliak, George R. Zodrow. 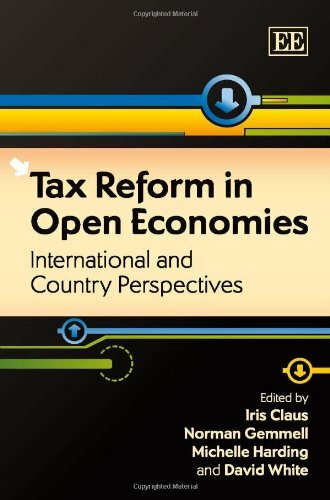 This book brings together research from some of the world's leading tax economists to discuss appropriate directions for tax reform in small open economies. 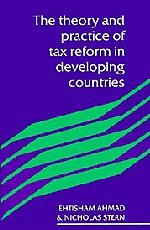 The eminent contributors (including Altshuler, Creedy, Freebairn, Gravelle, Heady, Kalb, SÃ¸rensen and Zodrow) investigate the beneficial directions for medium-term tax reform in the light of global developments and lessons from the latest taxation research. 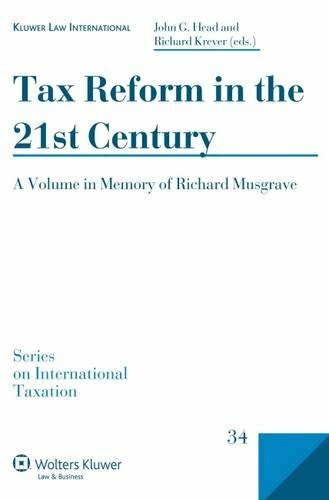 In addressing this issue, they review recent advances in both the theoretical and empirical tax literature and reform evidence from individual countries. Topics covered include the impact of taxes on economic performance; international and corporate taxation; personal tax and welfare systems; environmental taxation; and country-specific tax reform experiences. this is an amazing book!!! it has very good points!! you have to read it!!! you wont regret it!! The European Commission presented a strategy that would allow EU companies to compute their EU tax base under a single set of tax rules at the EU level and use a common formula to distribute this tax base across the individual Member States. Company Tax Reform and Formulary Apportionment in the European Union provides broad guidance for the EU in shaping a system of consolidated base taxation with formulary apportionment. It evaluates how the U.S. states and Canadian provinces have resolved the economic, political, and technical aspects of the formulary apportionment method. 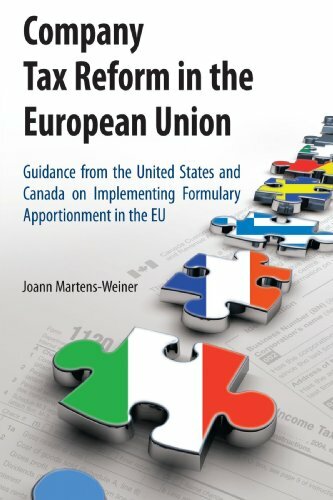 The book discusses the landscape for company tax reform in the European Union and illustrates how formulary apportionment might distribute the tax base across the Member States. It provides practical information on how to design an apportionment formula and discusses selected compliance and administrative issues. It analyzes how formulary apportionment might affect investment, employment, tax revenues, and tax competition in the European Union. 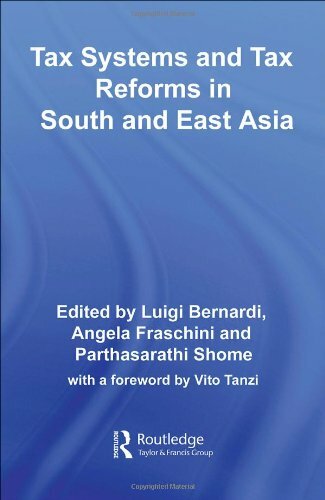 This book examines the present status, recent tax reforms and planned tax policies in some South and East Asia countries since the 1990s. The evidence is presented in a user friendly manner, but at the same time uses technically sophisticated methods. The main countries studied are China, India, Japan, Malaysia, South Korea and Thailand. It is unique for being the first systematic treatment of the topic: hitherto, the information available has been widely dispersed and difficult to access. 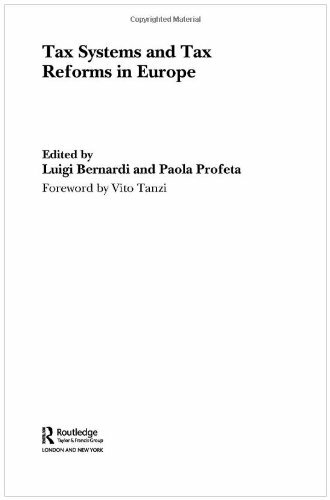 It should prove to be a natural companion to two previous books on taxation published by Routledge and also edited by Luigi Bernardi. * Tax Administration and the Black Economy. 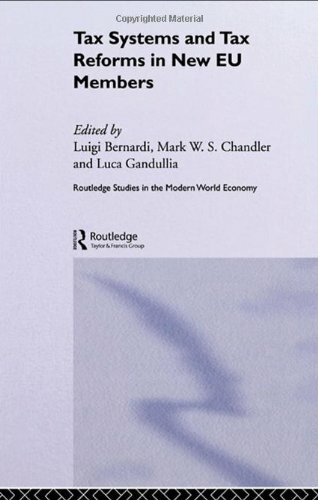 As well as investigating countries such as the Czech Republic, Estonia and the Baltics, Hungary, Poland and Slovenia, this outstanding book contains a foreword by Vito Tanzi and will be a valuable resource for postgraduates and professionals in the fields of economics, politics, finance and European studies. The rapid emergence of East Asia as an important geopolitical-economic entity has been one of the most visible and striking changes in the international economy in recent years. With that emergence has come an increased need for understanding the problems of interdependence. 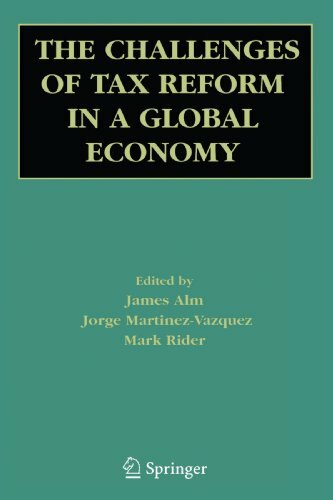 As a step toward meeting this need, the National Bureau of Economic Research joined with the Korea Development Institute to sponsor this volume, which focuses on the complexities of tax reform in a global economy. Experts from Taiwan, Korea, the Philippines, Japan, and Thailand, as well as the United States, Canada, and Israel examine the major tax programs of the 1980s and their domestic and international economic effects. 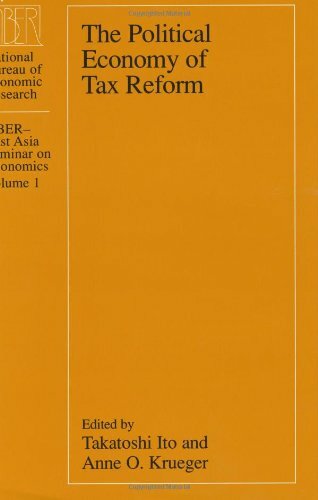 The analyses reveal similarities between the United States and countries in East Asia in political constraints on policy making, and taken together they show how growing interdependence interacts with domestic economic and political concerns to affect issues as politically vital as tax reform. Economists, policymakers, and members of the business community will benefit from these studies. Great book on complex topic! 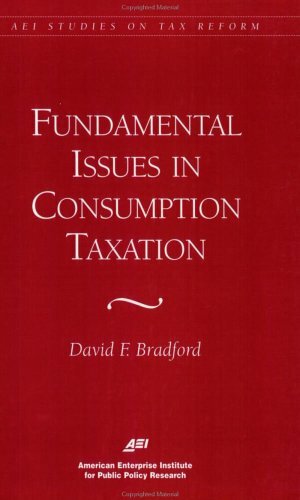 This is a really great and readable text on what is often a challenging topic.The authors really have provided some insightful analysis on what is always a timely topic.I learned a tremendous amount and easily made myway through the flowing prose.I suggest this book for anyone interestedin taxation and also for those of us who are simply "taxcurious".This is a particularly relevant book given the upcomingelections! This slender volume is a readable and entertaining survey of the woes of the current income tax system and of a variety of tax reform proposals intended to replace the current system. The section of the book that discusses the tax system's effect on labor supply, saving & investment, incentive to work, international competiveness, and other economic 'macro' effects, is especially insightful. The authors conclude (probably correctly) that the tax system's effect on these things is probably marginal, and, in any event, difficult to measure empirically. 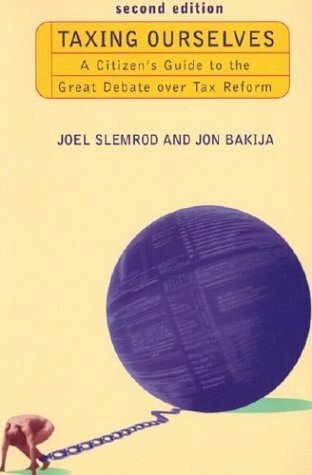 Therefore, any tax reform that promises 'economic nirvana' should be taken with a grain of salt.The authors suggest, without endorsement, that the hallmarks of any new (or improved) tax system should be simplicity, enforcability, and revenue- raising efficiency; the last denotes the absence of 'social tinkering' through the tax system. Unfortunately, the authors note that all of the various tax reform proposals being floated by politicians suffer severe political defects. A national sales tax would be difficult to enforce (that's probably correct); a broad-based value added tax (VAT) would be highly regressive; the 'flat tax' (wage tax) would be less progressive than the current income tax; and the consumed income tax (consumption tax) would be more complicated than the current income tax (that's probably not correct, and the authors do not explain this assertion well). These are principally political impediments to reform- the authors suggest that it will take an act of political courage by Congress or the president to make any progress on the tax reform front. That's clearly correct, but don't hold your breath. 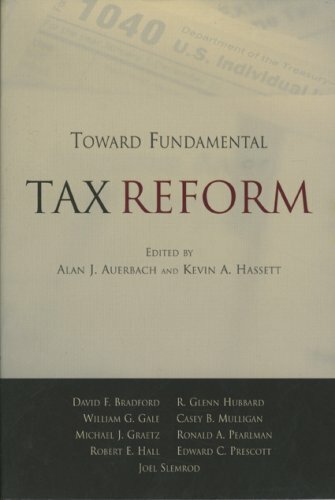 If you want to know about tax reform, read this book.